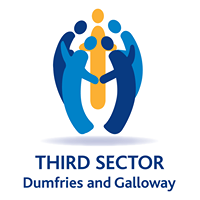 An Extraordinary General Meeting of Dumfries and Galloway Third Sector Interface will be held on Thursday March 28 at Lochvale House, Georgetown Road, Dumfries, DG1 4DF from 11am to elect new trustees and vote on proposed changes to the constitution. 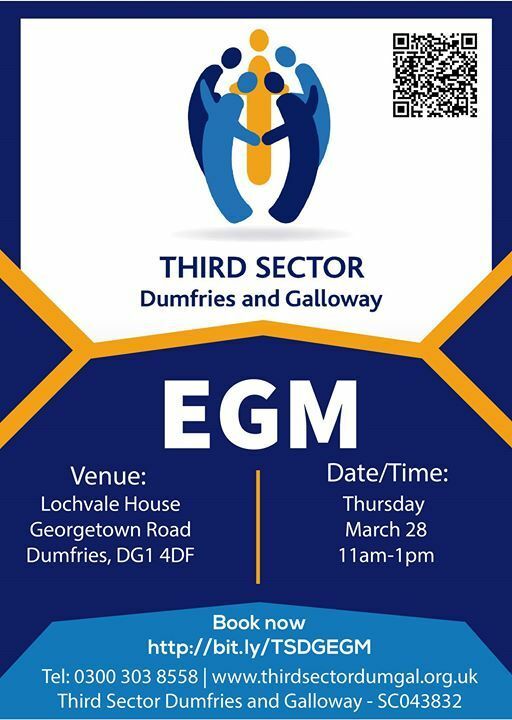 Coffee and traybakes will be served and there will be an opportunity for networking after the EGM. 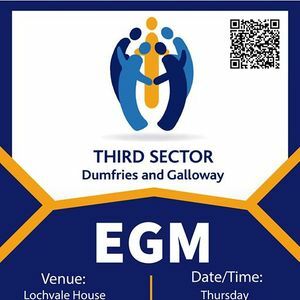 Please book tickets now to confirm attendance.